1 tsp. white vinegar, or we like to also use Apple Cider vinegar, or try it with a quality Balsamic vinegar for a sweeter taste! Mix all the above together with a whisk, refrigerate and serve. 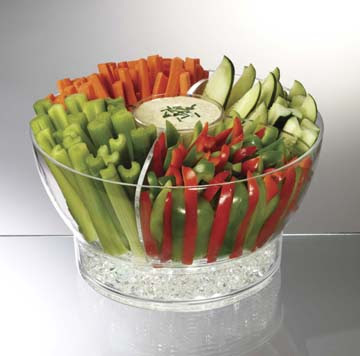 Check out our new cold bowl on ice for your veggies.